Does iTunes Backup Deleted WhatsApp Messages? How to View Them? The other day I decided to let my kid play with my phone. I thought it was a cool way of keeping him busy as I concentrated on my work. However, I later came to realize that he deleted all my WhatsApp messages. I had important client messages on WhatsApp. Is it possible to view these deleted messages? BTW, I backed up my phone to iTunes following I found that but does iTunes back up deleted WhatsApp messages? I own an iPhone X running iOS 11.4. What happened to Mary is something that happens to a large number of iOS device users. If you have deleted your WhatsApp Messages by mistake, you may be wondering whether iTunes backs them up and if it is possible to view these messages. This article will provide you with the answer. Does iTunes Backup Deleted WhatsApp Messages? Can I View the Deleted WhatsApp Messages in iTunes Backup? How to View Deleted WhatsApp Messages in iTunes Backup? How to Prevent Data Loss Caused by Accidental Deletion? 1. Does iTunes Backup Deleted WhatsApp Messages? iPhone saves all data in its database, which is called SQLite database. If you happen to delete data, such as your WhatsApp messages, the system just moves the deleted data from the "Allocated" category to the "Unallocated" category. The device will not delete them at once. However, when you create new data, the "Unallocated" category entries will be occupied first. This will happen especially when you lack abundant space on your iPhone. The deleted WhatsApp messages will be overwritten. If you backed up your iPhone to iTunes before the deleted messages were overwritten, then the deleted WhatsApp messages backup will be available on iTunes. If your deleted messages get overwritten before backing up your device, a backup won't be available on iTunes. 2. Can I View Deleted WhatsApp Messages in iTunes Backup? When you delete any data, iOS devices regard this data as being useless and hence it won't be shown. Therefore, even if you restore the iTunes backup that contains your deleted data, you still won't see the WhatsApp messages. 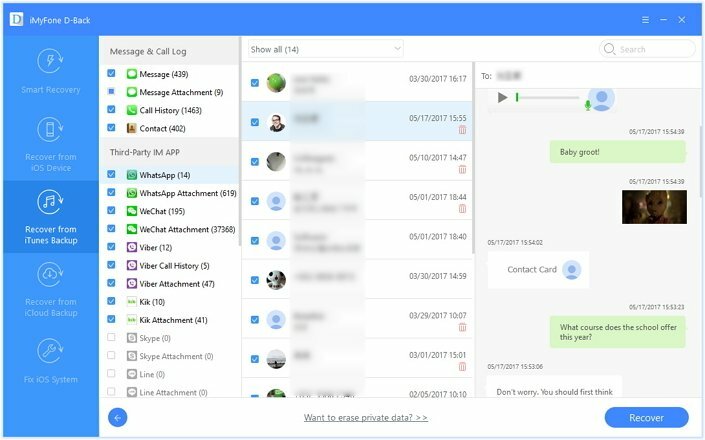 However, it's possible to use a third-party data recovery tool to view your deleted WhatsApp messages, and the best one you can use to view the deleted WhatsApp Messages is iMyFone D-Back. If you had backed up deleted WhatsApp messages to iTunes before they got overwritten, iMyFone D-Back can recover them, even if your iPhone is not at hand. It can find the deleted WhatsApp messages on your iPhone directly if an iTunes backup is not available. It can recover deleted text messages, iMessages, and notes from iTunes backup. You get a free preview function which allows you to confirm whether the deleted WhatsApp messages are in iTunes, and you don’t have to pay for the preview function. 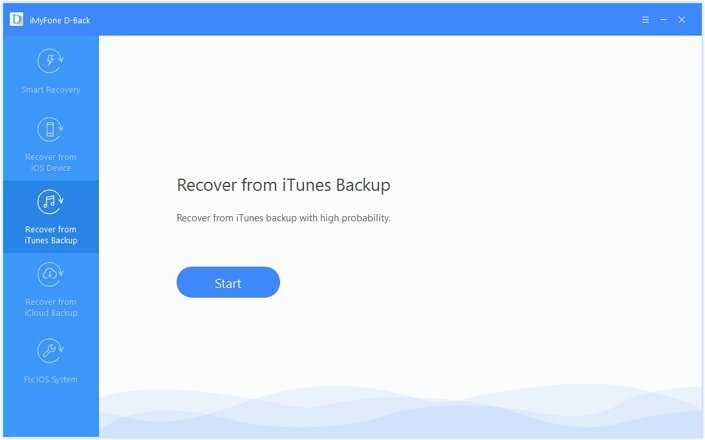 Step 1: After installing and launching iMyFone D-Back on your PC or Mac, select Recover from iTunes Backup in the left panel and then tap Start. Step 2: To recover only WhatsApp data, select WhatsApp only. If you wish to recover all your data, use the Select All option and then click Next. Step 3: Select the iTunes backup from which to recover the data and then tap Scan. Step 4: After the scan, you can preview the data. Select the deleted WhatsApp messages and then tap Recover. Step 5: Select a folder where you want iMyFone D-Back to store the recovered data. You can check the data after the recovery process is finished. 4. How to Prevent Data Loss Caused by Accidental Deletion? As we had indicated earlier on in this article, you can only find your deleted WhatsApp messages in the iTunes backup if you backed up your phone before they got overwritten. If they have already been overwritten by new data, iTunes backup will not help. The best way to make sure that you never lose your WhatsApp data by mistake is to back up the data regularly. If you are wondering how this can be done, check out our simple guide that shows you how to back up WhatsApp data only. WhatsApp is one of the most popular and trusted communication tools. Therefore, it will contain some of your most important messages. Mistakes do happen and you may end up deleting this data without knowing. In such a case, whether or not you will get to view these messages will depend on whether you had backed up the device on iTunes before the WhatsApp messages got overwritten or not. 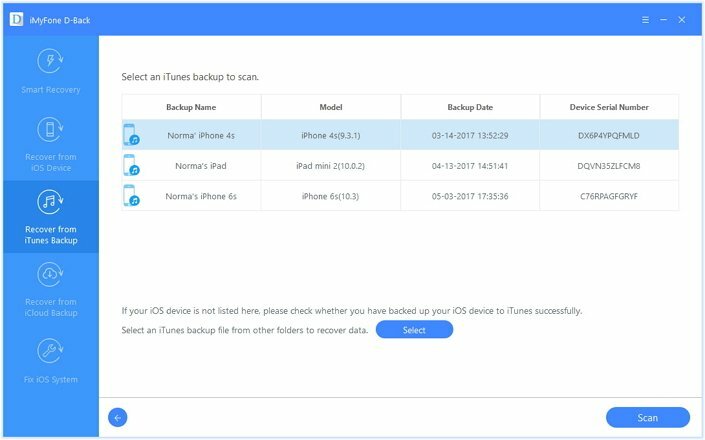 Even if a backup for the deleted data is available on iTunes and you happen to restore it to your device, you won't get to see it. However, a solution is available in the form of a third-party tool. 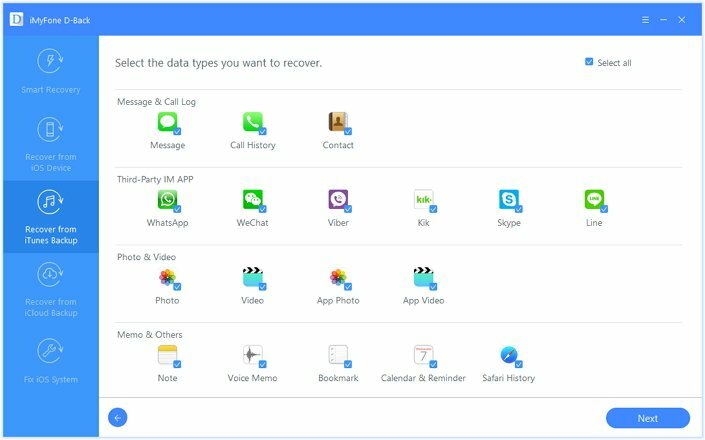 You can use iMyFone D-Back to recover and view all your deleted data easily. Try its free trial to figure out whether your deleted WhatsApp messages can be found.